When I first started photography, I just used whatever lens the camera came with (the 18-55mm f/3.5-5.6 and the 55-200mm f/3.5-5.6 lens). These “kit lenses” are good enough for casual photographers and for beginning hall photographers. However, it was horrible to use at night or indoor hall photography. Now, most people could recommend that a beginner should start off with the 50mm lens, but I personally went for the shorter (and slightly pricier) Nikon f1.8 35mm lens. It has since been my “do everything” lens for 3 years and on two cameras. DISCLAIMER: This is an informal review. I am a hobbyist, not a professional. It is all my opinion that there is nothing that beats actually getting your hands on the piece of gear in question and using it in the field. I encourage that you rent or borrow before purchasing as some of these things may break your wallet. Also, I am coming at this as a cosplay photographer so keep that in mind when I go over what I like and don’t like about the kit. The lens is very light and fast. It can handle low light conditions better than the kit lens due to its wide aperture of f1.8. The lens is slightly pricier thanks to the in-lens motor, which allows it to autofocus with entry-level Nikon cameras such as the D3000 (in fact, I bought this lens because it could autofocus with the D3000). Please Note: This 35mm lens is built for crop-senor (DX) cameras. It’s extremely light at only 200 g. It’s also very short and compact. The focus ring can be set for either Automatic with full-time override or just manual so you can adjust the focus on the fly without having to disengage the AF on either the lens or the motor. The focus mechanism is internalized, meaning that the lens does not change in length or rotate while focusing, allowing easy mounting of polarisers and other filters. Also, because there are no moving parts on the outside of the lens, it is rather durable despite the plastic body. I’ve seen photographers drop their cameras and prime lenses tend to survive them. Many photographers (including cosplay photographers) usually recommend the 50mm lens as the first lens purchase. Not only is it cheaper than the 35mm in many cases, but the longer focal length, combined with the wide aperture it provides makes for great “bokeh” (blurred background) that is popular to help the viewer focus on the cosplayer/model as well as to help minimize the crowd in the background. With a 35mm lens, you’re not really going to get a lot of “Bokeh” (blurry background), which could be a deal changer for you. It can still be done, but it will probably be very faint or the background needs to be almost “infinitely far” away. However, what you need to remember about using any lens with a Crop-Sensor cameras like Nikon DX cameras (including both my D3000 and my D7000 among others) is that the actual zoom length (not the focal length) is actually around 1.4x the focal length of the lens for most Nikon cameras. So a 50mm lens would have a zoom length of around 75mm while the 35mm lens has a zoom length of 50mm. This means that while a 50mm would most likely be too long for hall photography. This makes the 35mm lens is more ideal for crop cameras. This lens should be used at moderate to short range. It’s good for portraits and full body shots at conventions where space is at a premium. It works great in low light conditions like indoors and nighttime thanks to the wide aperture. It has a fast autofocus. I like doing low-to-high angle shots, and the 35mm can still take most of the body without having to dig a foxhole (or grave) for the photographer. I prefer to shoot solos or up to three people in one shot because large groups need wide spaces. While the 35mm is technically considered a wide-angle lens, the autofocus has trouble with focusing large groups, particularly with a wide aperture. Also, even though the zoom length on DX cameras is effectively 50mm, the focal length is still 35mm, making it rather poor at focusing at a moderate distance. So if there is a large group, the 35mm may not be an ideal lens to use unless your camera has a higher ISO range. If you want to shoot in the dark, the wide aperture helps a lot since it lets in more light. However, the wider aperture makes the final image softer overall. Also, if you have multiple subjects at different distances, you will only be able to keep one in focus while the other subject is blurred like the background. It is still highly recommended that you bring a tripod and lighting gear for these types of cosplay shoots. But in a pinch, using the wide aperture combined with a high ISO, slow shutter, and bracing yourself on a pole or a wall can get some good night shots. 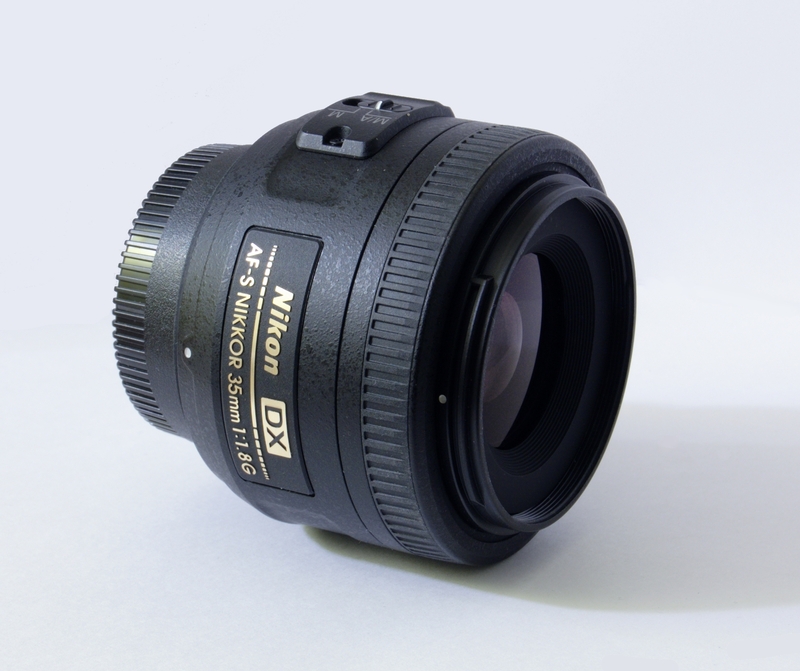 At around $200, it’s not the cheapest prime lens on the market for Nikon users, but it is an effective alternative for those who want a prime lens that does not have a 50mm focal length yet still able to be placed in cheaper DSLRs. I’ve transitioned it from my D3000, an entry-level camera, to my D7000 with no problems (actually with some improvements due to the latter’s improved sensor and ISO range). While I cannot expect the same when I finally transition to Full Frame (FX) cameras, I could still potentially keep it in my camera bag for a long time. Overall, it’s a great investment and a relatively painless one. Not as cheap as the 50mm. ~ by BlizzardTerrak on April 30, 2013.